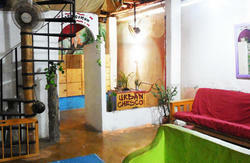 A charming laid back place with a commune terrace and a tropical garden with grill in the heart of Playa del Carmen. 5 min. walk to beach, bus station and supermarket. Nice double and triple rooms with fridge, cableTV, fan (\'basic\') or A/C (\'standard\'), full private bathroom with hot water,WiFi; some rooms with kitchenete. Daily cleaning, fresh towels every second day. The hotel counts with a security safe in the office. The library is a welcome addition for those travellers who love to read on the road. 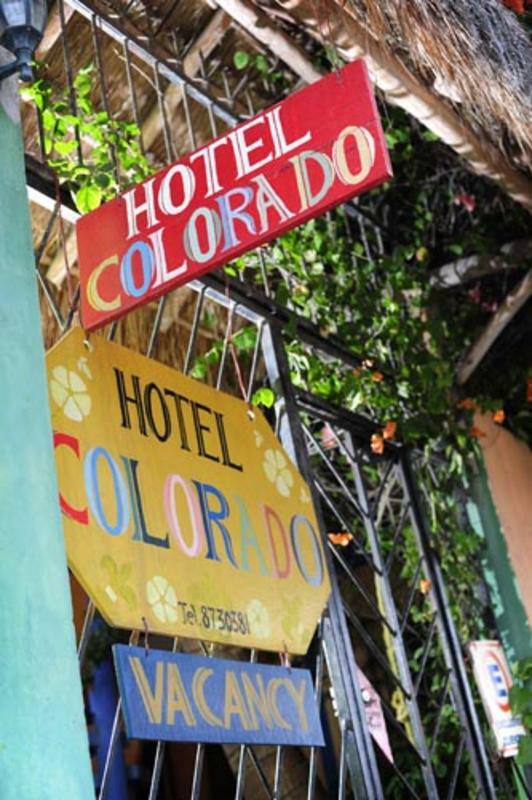 A friendly German-Mexican staff is waiting for you at Hotel Colorado! Bienvenido-Welcome. We don´t accept credit cards, only cash (Mexican pesos, US-dollar, Euro). 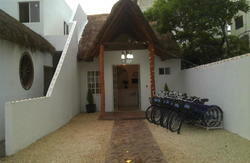 We do not offer private rooms as dorms, if you want to share the price, book with a friend. If the client doesn´t arrive the first day of his reservation without any advice directly to the hotel, there is no guarantee for the rest of the reservation and we have to charge his creditcard with the missing 90% of his payment for the first night. Arriving at the international airport of Cancun we recommand to go by bus (ADO, comfortable, airconditioned) directly to Playa del Carmen. It will take you about an hour, charges around 120 Mexican pesos. From the bus station (ADO) on 5th av. turn left until 4th street and then turn left again, walk up 3 blocks. You will find us on your left side crossing the 20 Av. 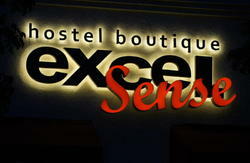 Or more comfortable, take a taxi for 20-30 Mexican pesos to the hotel.